The Organisation of the Petroleum Exporting Countries (OPEC) has dismissed the impact electric cars will have on the automobile market. 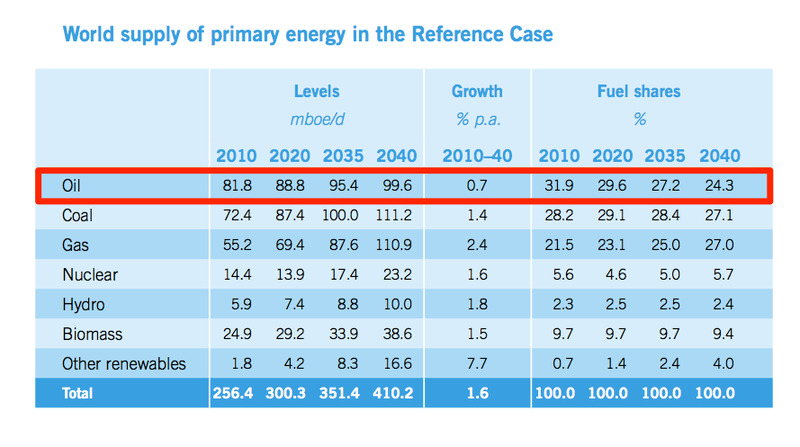 In its latest World Oil Outlook the oil cartel outlined its forecasts for key oil-using industrial sectors through 2040. While the share of traditional petrol/gasoline-fuelled cars is expected to fall, OPEC predicts that they will still account for 91% of all vehicles, down from 97% in 2013. Don’t tell that to Elon Musk, founder of the electric car producer Tesla. The company reported a modest $US3 million third-quarter profit on Wednesday, enough to drive up its share price. Tesla reported that its major problem at the moment is being able to produce sufficient numbers of electric cars at the pace required to meet surging demand. 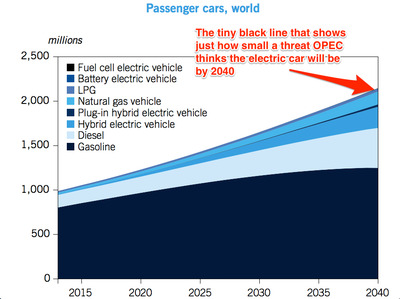 Of course, OPEC has a strong motivation for downplaying the possible impact that electric cars could have on a key part of its market. 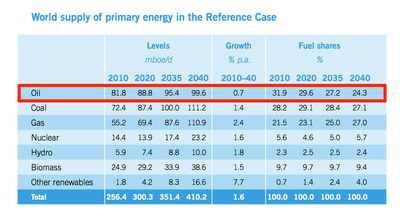 Especially since even on its own forecasts oil is expected to play an ever smaller role in global energy markets.